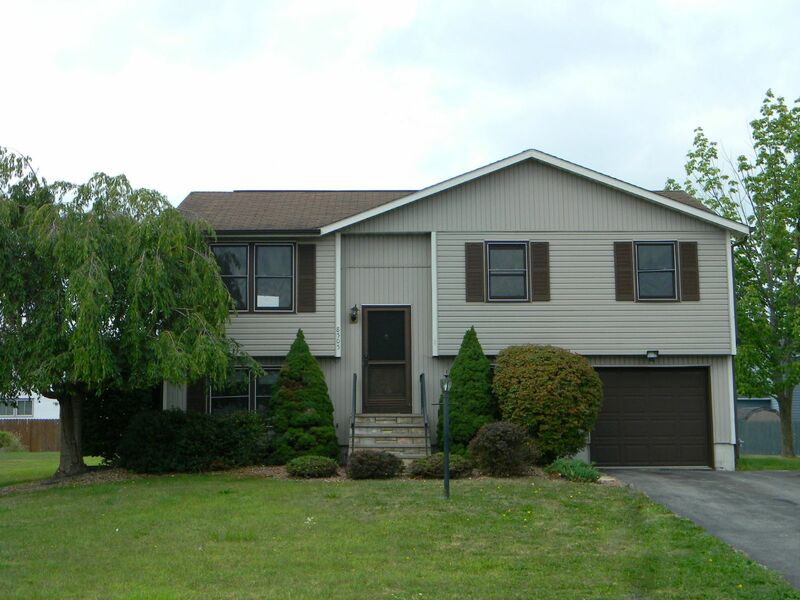 Cicero Real Estate - Contact Bob McTague at 315-882-6610 – 8505 Grandview Drive, Cicero, NY – Welcome Home! Great opportunity to own this move in ready home located in the desirable "John's Landing" subdivision. This 3 bedroom, 2 full bath home features all new carpeting and paint throughout. The main living area provides a large living area, dining area, kitchen with all appliances, a full bath, a master bedroom with a walk in closet, and 2 other bedrooms. The lower level offers a family room, full bath, , and a laundry room. The exterior features a spacious and open yard, and a one car garage. Centrally located to schools, shopping, parks, and major highways. Call today!